After breakfast, see Memphis which was founded by King Menes and was the capital of Old Egypt during the Old Kingdom. Then proceed to the Step Pyramid at Sakkara which was designed by the architect Imhotep for his master King Zoser. Lunch at a good quality local restaurant. After that, visit the pyramids of Cheops, Chefren and Mykerinus at Giza Plateau. Then proceed to visit the Great Sphinx, the head of a pharaoh with a lion's body, dates from the time of Chephren. The tour also includes a visit to the Valley Temple which belongs to the Pyramids of Chephren. Overnight in Cairo. Breakfast, then transfer to Cairo Airport for flight to Aswan where you will be met and transferred to embark on a 05 star deluxe Nile Cruise, M/S Sonesta Moon Goddess before lunch. Sail on the river Nile by Fellucca around Kitchener's Island and Agha Khan Mausoleum. Afternoon Tea. Dinner on board and Nubian Folkloric show. Overnight in Aswan. Breakfast on board, then head to visit the High Dam, the Unfinished Obelisk & Philae Temple. Sail to Kom Ombo, buffet Lunch during sailing, after that visit The Temple Of Sobek in Kom Ombo. Sail to Edfu. Enjoy afternoon tea, Captain's welcome cocktail (smart casual attire). Dinner on board and Disco. Overnight on board at Edfu. Breakfast on board, head to visit the Temple of Horus in Edfu. Then sail to Luxor. Lunch on board, afternoon Tea. Dinner on Board and Galabya party. Overnight in Luxor. Breakfast on board, get excited by visiting the West Bank; Valley of the Kings, Valley of the Queens, the Colossi of Memnon, and Temple of Queen Hatshepsut at El Deir El Bahari . Lunch on board. Have afternoon tea. Dinner on board and Belly Dance show. Overnight in Luxor. Disembarkation at 8:00 a.m after breakfast. 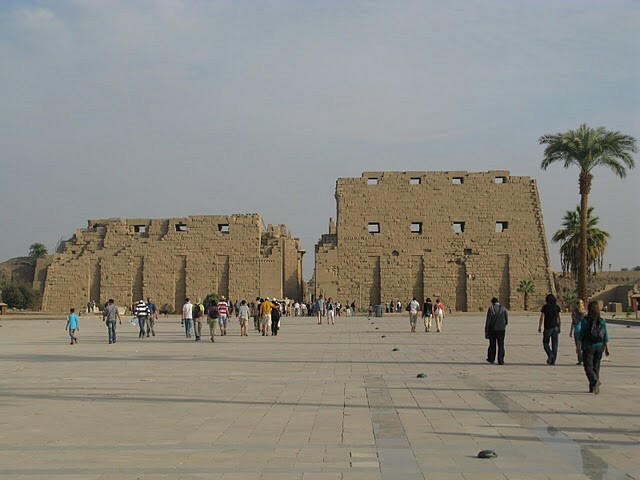 Then head to visit Karnak & Luxor Temples. After that you will be transferred by a modern air-conditioned vehicle to Hurghada. It takes about 03 hours driving. Transfer to your 05 star deluxe resort in Hurghada, Marriott Hurghada Resort. Overnight in Hurghada. After breakfast, enjoy diving in the Red Sea for three days and watching the amazing under water rare coral reef including two dives per day, diving guide, diving equipment, lunch and soft drinks on your diving boat. Non divers can also enjoy intro diving and snorkeling along the beautiful barrier reefs. Overnight in Hurghada. After breakfast, free time at leisure, then you will be transferred to Hurghada international Airport for flight to Cairo where you will be met and transferred to see the Egyptian Museum. After that transfer to a 5 star superior hotel near the airport, Fairmont Heliopolis Hotel. Overnight in Cairo. Breakfast and check out, then transfer to Cairo Airport for final departure. Accommodation for 4 nights on 05 star deluxe Nile cruise on full board. Accommodation for 4 nights in Hurghada including daily breakfast. All Sightseeing Tours (Private) in Cairo as in the itinerary. All sightseeing tours on the cruise sharing the cruise group. Lunch during tours in Cairo and Giza. Domestic flight (Cairo – Aswan- Hurghada– Cairo). 3 days diving with lunch and mineral water and soft drink. Certified PADI professional diving guide fees. Diving equipment tanks, weight and weight belts included.